Model: Stainless Steel Cocktail Muddler Set Warranty: Manufacturer warranty for 365 days from the date of purchase. 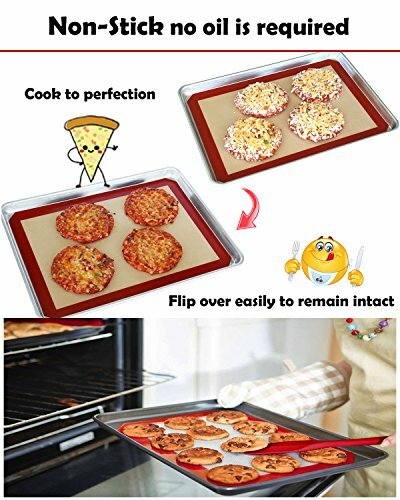  Multipurpose  you can use in microwave, All types of sheet pan ovens, except for direct-fire ovens. 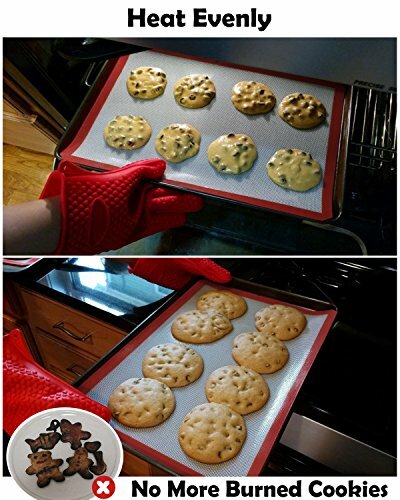 They turn any baking tray or baking sheet into a non-stick surface. You can also use it as the baking dish, pastry mat, fondant cake dough rolling mat, cupcake pastry board, table mat, heat-resistant gloves and so on. The kitchen baking equipment can be used at temperature ranging from -40°F to 480°f (-40 to 250°C). 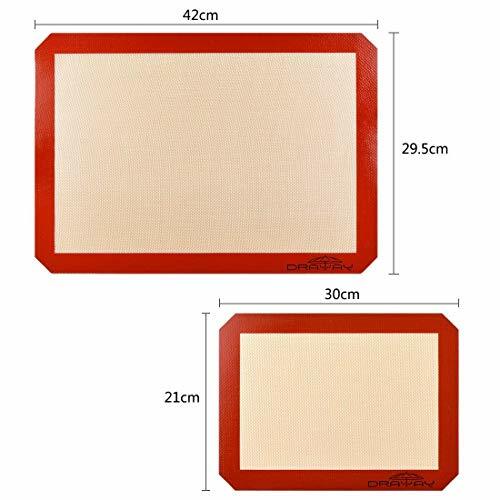  3 sizes included in 1 set  Each package contains 3 pieces of silicone Mats to meet your different size need, 2 pieces for half-sheet Size baking pans,the biggest mat is 42.5x30cm(16.73x11.81 inch),the medium mat is 37.5x25cm(14.76x9.84inch),and 1 small mat in 30x21cm(11.81x8.27inch) for quarter-sheet Size pan oven. Use the non-stick baking spray when baking chocolate-chip cookies, cinnamon buns, or homemade bread or when making sticky caramels or baked salmon with garlic and lemon, and also work well for placing under bubbling casseroles or fruit pies. 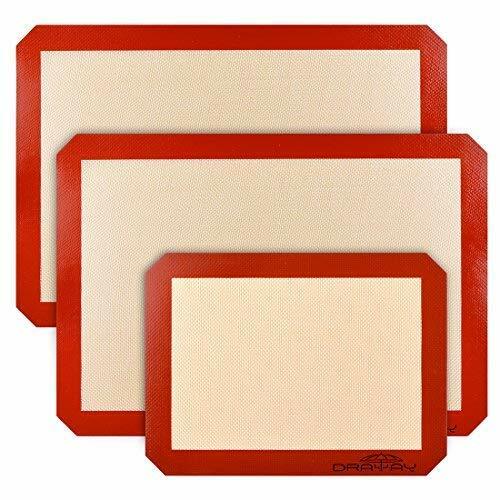  Non-stick and non-slip  you can skip butter or grease or oil spray, pan greasing, and Parchment paper or wax paper to place directly on an existing Silicone mat or countertop, keep low Calories and keep low fat foods and keep yourself healthy. And unlike other types of sheet pan, the non-stick roasting trays can handle the use of metal spatulas or utensils without damage(serrated edges is not recommended). The silicon cooking Mats can adhere to the worktop and really stays in one place well.  Washable and reusable  you can just wipe food with warm effortlessly, or wash by hand in soapy water and allow to air dry, or put the silicone pastry mat into the dishwasher top rack). repeated usage and washing Cycles do not affect non-stick properties of the flexible baking tray. After every using and cleansing, the cooking heat-resistant mat looks like new again. The non-slip kitchen Mats could be used thousands of times once buying. ❶ Are you worried about adding cooking butter or grease or oil spray to become fat and unhealthy ? ❷ Are you tired of the sticky splash or the burning on spill and residue in your oven and bake ware ? ❸ Are you getting sick of the horrible cleaning of the pyramid pan cooking mat or baking tray or frying pan or roasting tin ? ❹ Are you crazy about leaving the mess all over your kitchen after your baking ? ❺ Are you frustrated about the baking mat to slip around on the kitchen worktop when rolling fondant or a pie crust ? ❻ Are you trying to find what biscuits, pastries, fondant, sweets you like much? Do you have a dream of being a best baker ? 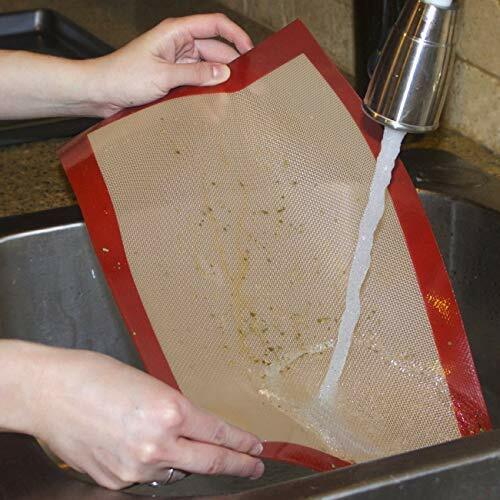 ❼ Have you wasted time to replace the parchment paper or wax paper ? ❽ Have you wasted money to buy the baking dish, pastry mat, fondant cake dough rolling mat, cupcake pastry board, table mat, and heat-resistant gloves ? ☞ Here is the magic ! ❤ Draway Baking Mat can help you and fit your need ! 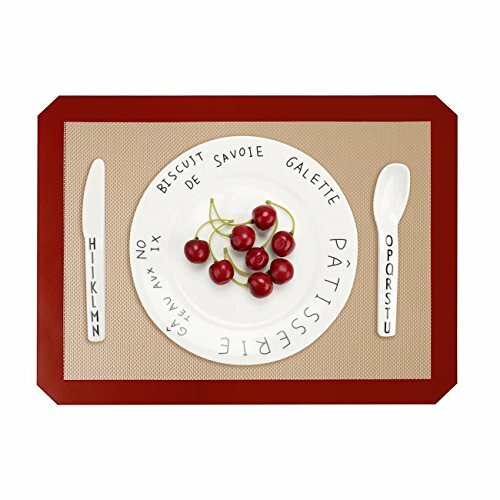 ❤ So Draway Baking Mat is the must-have in your kitchen ! 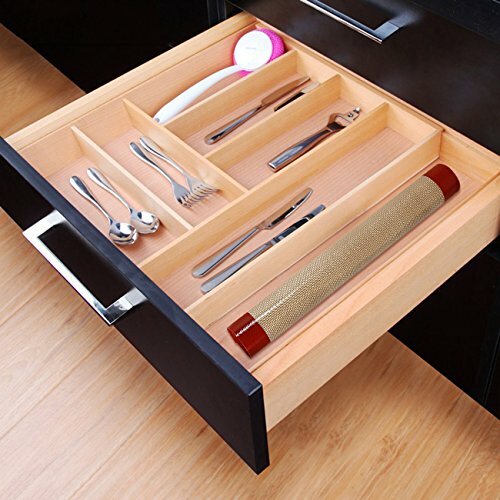 ✪ Draway is the professional household product designer and maker. Welcome to click our brand name which is on the below of the title, and then find more items in different colors, sizes and designs with high quality and reasonable price. ✪ If you like this product, we advise you add it to ❤Wish List or Gift Ideas List❤ right now.We will inform you immediately once it has a discount or lightning deal. ✪ We highly appreciate all customers' opinions to improve our customer service. If anything you are unsatisfied, please contact us for the probable best solution.